Happy Birthday to all August Babies! 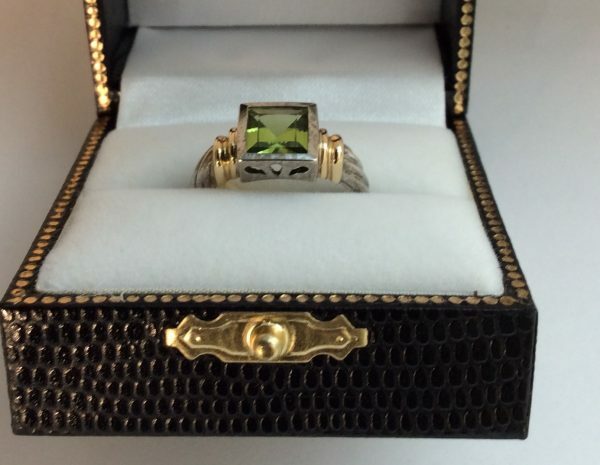 Your stone is peridot, a clear yellowish-green stone with a transparent brilliance. It is also the 16th anniversary gemstone. A beautiful and unique stone, it has the distinction of being the only gemstone found in outer space. Mined over 3,500 years ago, peridot has had an interesting history over the years. Many of the green gems worn by Cleopatra that were believed to be emeralds, actually were peridot. Brought to Central Europe by the crusaders, the stone was often used for ecclesiastical purposes during medieval times. It was the most popular gemstone during the Baroque period (1600-1750) and a favorite of pirates who believed the stone was a powerful amulet against evil. In Hawaiian folklore, peridot is said to symbolize the tears of Pele, the goddess of volcanoes and fire. pure grass green color. The stone is often cut in table and step cuts, and sometimes brilliant cuts. While most peridot comes from lava rock deposits, it has been found in meteorites and in 2005, it was discovered in comet dust brought back from the Stardust robotic space probe. Currently, the United States is one of the largest suppliers of this gemstone. Approximately 80% to 95% of the world’s supply comes from the San Carlos Apache Indian Reservation in Arizona. The largest cut peridot is in the Smithsonian and is approximately 312 carats. It was found on the island Zabargad (off the coast of Egypt). 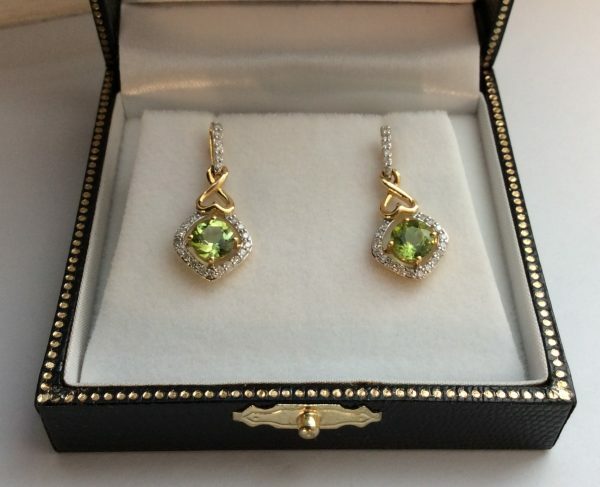 Zabargad is the Arabic word for peridot. There are some cut peridots in Russia from a meteorite that fell in 1749 in eastern Siberia. It is one of a few gemstones that comes in only one color. Please stop by our shop if you are in the Buffalo, NY area. We’d be delighted to show you our selections or custom design a special piece just for you! We look forward meeting you soon.